Last month we saw the old Baptist Meeting house on George St. which was built in 1833 and demolished in 1978. This month we see a photo of the inside of the building which is “Tardis like” in the amount of space. There was room for 750 people and by 1850 the church attracted 400 on Sunday morning and a full 750 in the afternoon and evening. However, after a new Baptist church was built almost opposite numbers fell quickly. 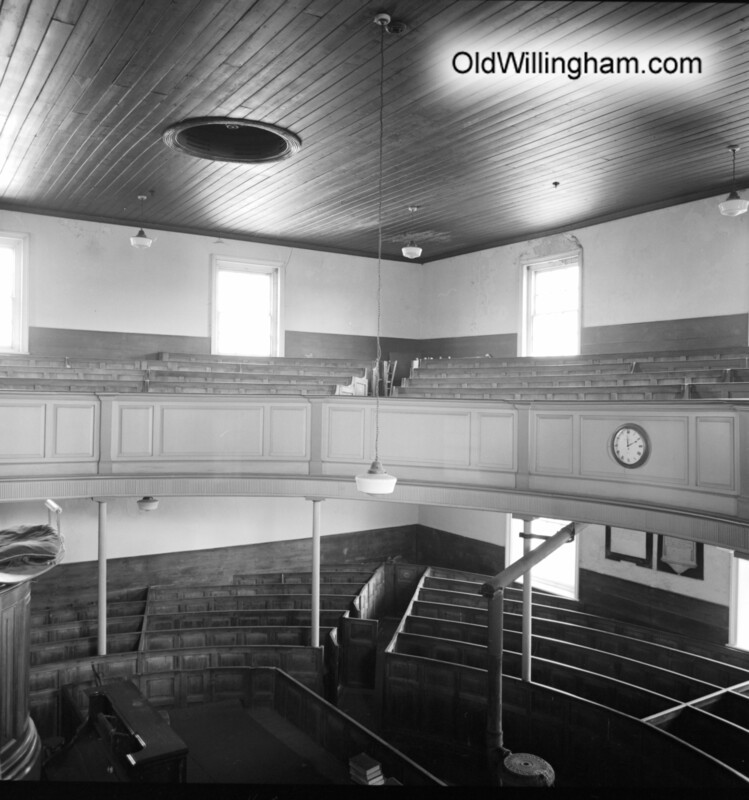 Baptist churches place importance on preaching and the large elevated pulpit can just be seen on the left. Just visible at the bottom is a coal brazier with chimney – that would have been all the heating for the whole building!